How could you not fall in love with Aileen Meagher? Back in the day when ‘a lady did not run’, she cut off her brother’s trousers, fashioned a pair of running shorts and tried out for the Dalhousie track team in 1928. The track coach mentioned the Olympics. Aileen had never heard of the Olympics. Soon, all that would change. She quickly beame Canada’s record holder for the 100- and 220-yard events and, by 1932, was part of our nation’s Olympic contingent. (A charley horse kept her out of competition.) 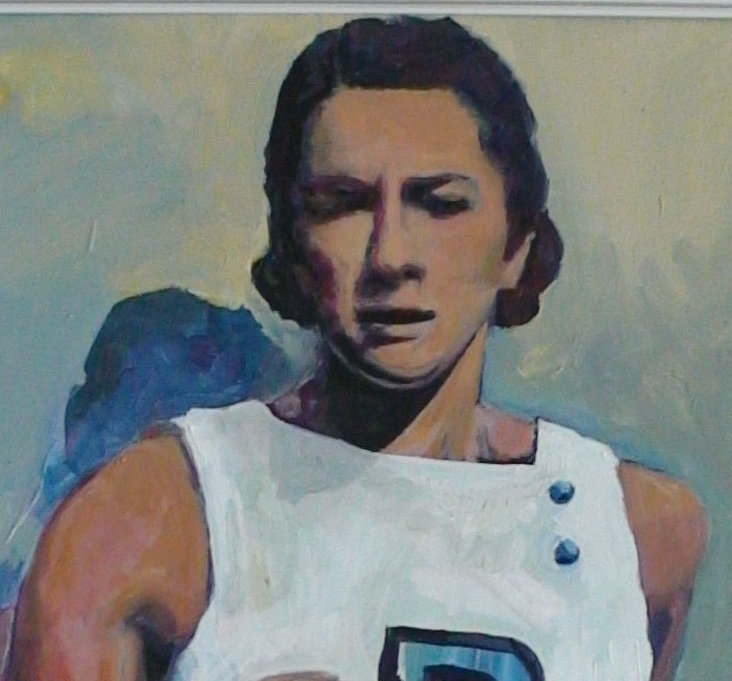 By 1935 she was named both Most Outstanding Canadian Athlete and Most Outstanding Female Athlete. 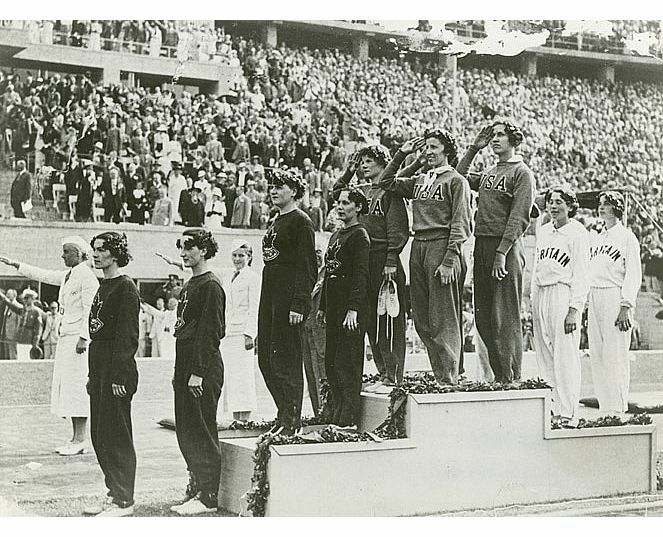 She took home gold and silver medals at the 1934 and 1938 Empire Games and – the year Hitler hosted the 1936 Olympics in Berlin– Aileen arrived at the Halifaxairport with an Olympic Bronze Medal for the 400 relay. That’s her, at the front of the group, with her Canadian team, the U.S.team, and British team prior to presentation with medals in Berlin. She went on to become a talented artist who traveled the world – filling notebooks with watercolor sketches and captivating snippets. Later, as a teacher, she used her running medals as a paperweights on her school desk. When her Olympic medal went missing, she was unperturbed. “I know I did it – so, why worry? I am, literally, wrestling with Anna Leonowens. Back in the 19th century, Anna (of The King and I fame) was one of the most amazing women of her time. A widowed mother of two young children – without any visible means of support – who completly re-created herself. She became a woman of adventure, an author, a vocal supporter of women’s rights and abolition. She created an amazingly successful and dramatic life for herself. She was hardworking and ambitious. And a great self-promoter. Anna lived for more than two decades in Halifax, and she left her mark on the city, the province – and, ultimately, the country. ““In 1862 she was recommended to King Mongkut of Siam (Thailand) as a potential governess to the royal family, then composed of 67 offspring by the king’s numerous wives. Settling in Bangkok, Leonowens began a remarkable five-year career as “Mem Cha” (“M’am Dear”), which proved to be the pivotal event in a long and curious life. In 1868, she left that posting and opened a school for training kindergarten teachers in (New York City. Adept at self-promotion, Leonowens soon became known to the publisher of the prestigious Boston-based Atlantic Monthly. Under his sponsorship, a series of articles portraying her Siamese experiences appeared in that magazine during 1870, followed immediately by his publication of The English Governess at the Siamese Court. Think of it this way: Readers back then, were hungry for stories about the mysterious Far East. And Anna, who did have a legitimately amazing adventure there, knew how to take a great story and make it sellable . By the time Anna landed in Halifax in 1876, she was quite famous – as a woman of adventure, an author, a rights activist. Before she left – 20 years later – to move to Montreal (where she died, at 84 and is buried in Mount Royal Cemetery), she left her mark on the city: sparking the establishment of the Victorian School of Art and Design, now the Nova Scotia College of Art and Design (NSCAD) University. So: that’s who I’m wrestling in my studio with – a formidable woman! 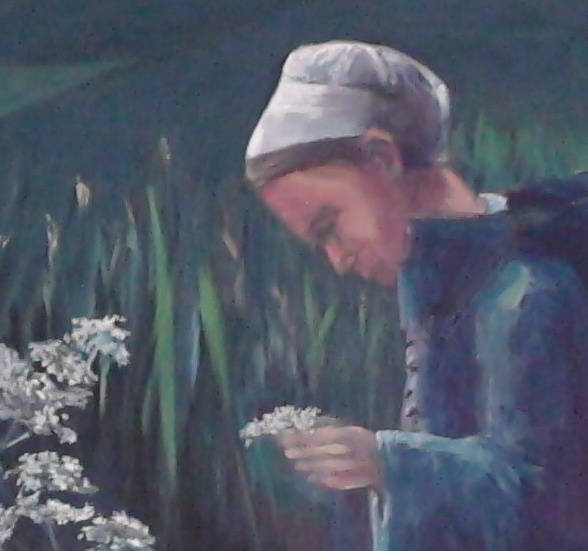 Working away on a portrait of Marie-Henriette LeJeune-Ross – aka “Granny Ross” (1762-1860). 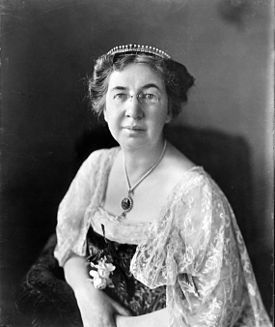 I don’t have a reliable image I can work from, so I’m creating my own image based on research about this woman that became known – and revered – as “Granny Ross”. Here’s her story: basically, she was a trail-blazer in the world of women’s science in Canada. Born to Acadian parents who were deported to France fter the 1748 fall of Louisburg, she established her reputation as a nurse and midwife in the Little Bras d’Or area of Cape Breton during a community smallpox outbreak. She had a cabin built in the nearby woods and used it as an infirmary, where she cared for and saved the lives of many settlers during the epidemic. It seems she was a small woman, with blue eyes and a dark complexion. Without a doubt, she used her knowledge of plant medicine to help others– right up until her end. 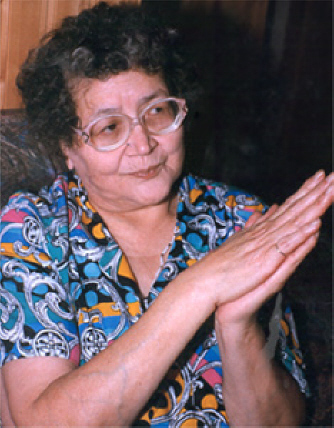 (Since the opening of my show, relatives of Granny Ross have gotten in touch: it seems her grandmothers were French and Mi’kmaq, and she learned her healing skills from her Native grandmother. “Traveling on foot, by horseback, or on snow-shoes, with a pine torch to light the way at night, (LeJeune-Ross) worked unendingly in a locality where professional medical aid was non-existent. She was revered in the community,” notes Lois Kathleen Kernaghan, in the Dictionary of Canadian Biography. Back around 1802, she and her family moved from Sydney, to the Northeast Margaree River valley, becoming the first settlers there….and when she moved, her medical skills and reputation traveled with her: As settlement in that area increased, so did the demand for her services. She eventually went blind, but disability didn’t stop her: In summer, her family, apparently transported Granny Ross to her patients’ bedside in a type of wheelbarrow. And, in winter, she was taken on a sled. Nova Scotia soil gave birth to this uniquely first Canadian woman of science. She’s gone, but her homestead in Cape Breton remains…. 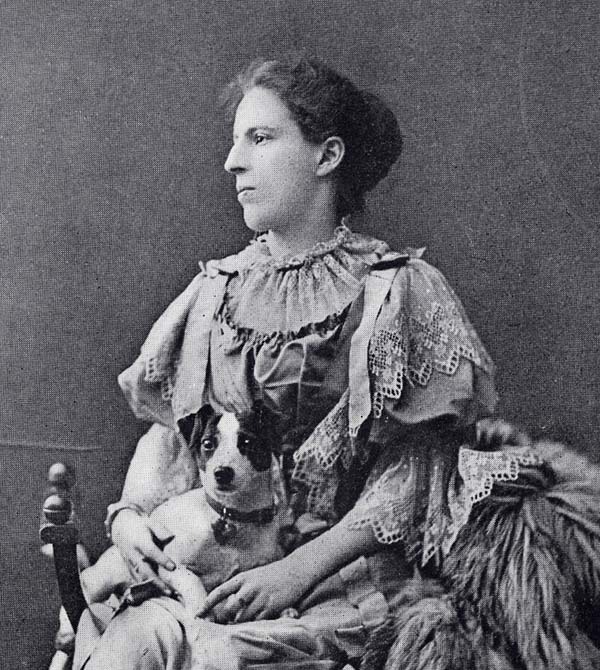 I’m working on a portrait right now of Mabel Bell. I’ve been researching her for a while, and reading Charlotte Gray’s wonderful book, Reluctant Genius about Mabel’s husband, Alexander Graham Bell, and their life together. I included Mabel among “the Nova Scotia Nine”” – the 9 women who’ll form the centerpiece for my show in June at the Public Archives of Nova Scotia, in Halifax – because she was amazing – and she did amazing works during her time in Nova Scotia. An extraordinary woman and powerful example of what one person can accomplish when they refuse to let any thing dim their light. The next woman I came across that really attracted me – that moved me to paint her, large scale and lovingly – was Margaret Marshall Saunders. Ever hear of her? Me neither. But turns out she was quite cool – independent, talented, a hard worker, a beautiful soul and a major animal lover. Right around the time when the book Black Beauty was published, MMS – who lived in Milton, N.S. – traveled to visit a relative in Ontario and encountered a dog who had been terribly abused. It horrified her. It moved her. It moved her so much in fact, she wrote a book about the experience and named it Beautiful Joe. And that book, about a damaged dog, was the first book by a Canadian author to sell more than a million copies. I think it’s still in print today, and I’m going to check at my favorite bookstore to see if I can find a copy to include in the art show in June. The impact of Beautiful Joe was obvious: barrier-breaking sales. And not-so-obvious; Beautiful Joe was the catalyst for a shift in consciousness among Canadians. It started them thinking about how animals should be treated. And it ended in what today is the SPCA, animal protection laws and an increasing respect for animals and debate over how we should relate to them. 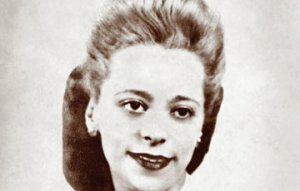 Viola Desmond is such an interesting story: forcibly removed from an N.S. movie theatre for refusing to give up her seat, Viola helped spark Canada’s civil rights movement – a good decade before Rosa Parks rose to prominence. Viola’s sister Wanda tells me Viola acted – simply because it was the right thing to do, and because her inherent sense of self respect and dignity just wouldn’t allow her to be swept back by ignorance and stupidity. Thanks Wanda. In case you’re interested, here’s a sneak peak, thus far, of “Brave Viola”! 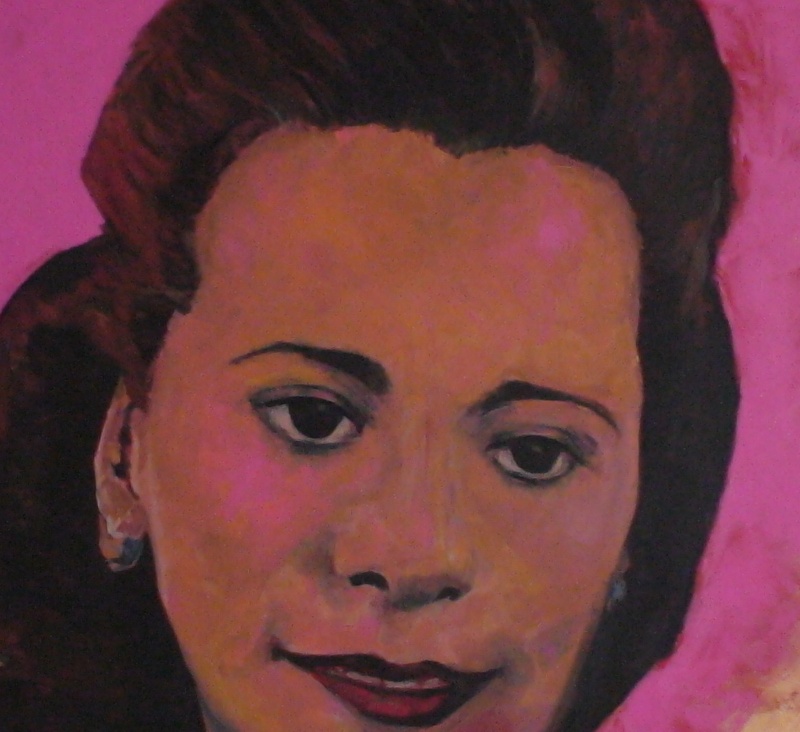 I’d like to introduce you to the first woman I decided to paint: Rita Joe. As mentioned in the last blog entry, she was on that list of women that the reference librarians sent along to me – and was someone of whom I had no real knowledge, understanding, appreciation. Why, after 10 years in a Halifax newsroom, and 20+ years as a journalist, did I not know her story? Her name rang a vague bell but that was it. So I started digging around and discovered why Rita Joe was not only respected and remembered but loved. She was a woman in touch with her heart, her soul. A person with the ability to remember what it is like to be a child. And someone who was able to pull thoughts and emotions from her heart and mind, scratch them out on paper and make that writing an unbreakable thread between herself and her reader. I missed the chance to know her but here was my opportunity to connect with her, and her writing and poetry. And…that face! I fell in love with it as soon as I saw this photo on Dr. Daniel Paul’s website. I think it would be great if, at the June portrait show at the N.S. Archives, I could get it together and have one of Rita Joe’s books sitting, open for perusing, alongside her portrait. We’ll see. Turns out there’s a lot to do to get things organized for an art show. But this seems like an important detail: to have something representing the works of each of the Nova Scotia Nine, sitting alongside their portraits. To give practical feeling to their artistic, portrait presence. If it’s still a good idea tomorrow, it’s likely worth pursuing. We’ll see.